People from Hawaii visiting Seoul, South Korea. For people from Hawaii, there are many good reasons to visit Seoul, South Korea. To start off, Asian tourists have ranked Seoul as their favorite city in the world, three years in a row. Plus, Korean culture has had a heavy influence in Hawaii, in addition to many locals can trace their ancestral roots to Korea. Here are some reasons for visiting Seoul, South Korea, particularly in the springtime. Seoul is one of the most dynamic cities to visit, making it a prime vacation destination year round. However, for those wanting experience South Korea its most natural splendor, there is no better time than spring. Like Japan, travelers know South Korea for stunning cherry blossom festivals during April to May. Thousands of flowery trees cover the streets of Seoul. During this time, the city blocks-off roads allowing pedestrians to meander through its streets. One of the ways to enjoy Seoul is to walk through the Hangang Yeouido Spring Festival at night. This is when the cherry trees glow pink with lights. If you enjoy fresh berries, the April Nonsan Strawberry Festival is another reason to visit this. Visitors can taste jams, honey, hot sauce, pancakes all made from strawberries. Plus, you can even experience strawberry picking from a field nearby. Families will also love the Lotus Lantern Festival of Seoul. Here, the festival offers live dancing, traditional music and lantern making opportunity for parents and kids. Tea-drinkers will want to explore the Boseong Green Tea Festival. The largest green tea producer in the country hosts the event just outside Seoul. Visitors can harvest leaves and taste teas and green-tea infused snacks while enjoying live music. All of these cultural experiences and delightful festivals make spring the best time to visit Seoul. No matter what time you go, visiting Seoul promises to be a pleasant experience. People know Incheon International Airport as one of the world’s best airports. It has a golf course, a casino, spa and even an ice skating rink to entertain travelers as they prepare to fly. More vacationers are drawn to Seoul as one of the world’s most economically powerful cities. Plus, the city possesses historical, technological and cultural attractions to satisfy the highest of expectations. From the moment you arrive, Seoul is a city of constant activity 24-hours a day. Quirky cafes, themed restaurants, elegant spas and shopping centers frequently provide their services 24 hours a day. The Gangnam district in the south has innumerable brightly lit streets that stay busy all night long. Plus, Seoul is a very safe city. As a result, visitors don’t need to worry about staying out late. For food-lovers, it is impossible to be disappointed in Seoul. The famous Korean barbeque needs no advertising. And for those wanting a plethora of flavors, each Korean meal comes with numerous side dishes with refills. From kalbi (famous barbeque ribs) to bibimbap (a popular dish of roots, marinated beef and chili sauce), “hangover stew” (a hearty healer meant to cure the long nights of fun in Korea’s capital city), green tea tiramisu and fresh octopus, the options are endless. This city is a great place for history buffs too. With numerous memorials, heritage sites and museums, they are enough to keep travelers busy. Families also love Seoul, if for no other reason than to visit Lotte World, the world’s second-biggest indoor theme park. For outdoorsy families, the Han River is a great place to enjoy the sunshine and ride bikes in the parks. Seoul is a tech-lover’s heaven and the most “wired” cities in the world. Known for the world’s highest broadband connection rate and Internet on the subway, the people of Seoul are constantly connected. CNN ran a report stating that 95 % of homes in Seoul have gone wireless compared to the USA’s 60%. The city’s average smart phone user manages everything from apartment locks to instant-payments. From an aesthetic perspective, the sky-rise buildings are technological works of art. The new Tower Infinity is a reflective structure which appears invisible. This is due to cameras reflecting real time images on the exterior building panels. The Lotte World Tower is one of the world’s tallest building with the world’s highest observation deck. The many tech-museums feature the latest developments on the market, making this city a fascinating place to explore technology. South Korea has been described as the “land of the morning calm” in Asia. 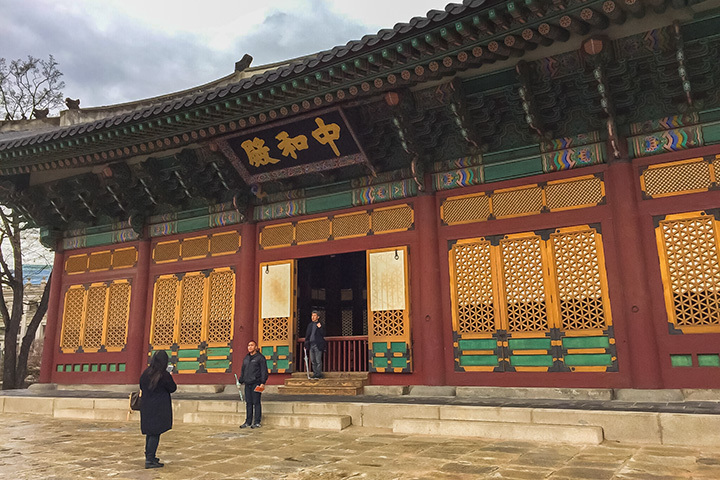 Nestled near both mountains and water, the capital city of Seoul combines the best of Korean history and heritage with the most modern conveniences and technologies the world has to offer.